polish fixation: Zoya Fleck Effects! Hey guys! I know you've probably been seeing them a lot lately, but I have some swatches of Zoya's new Fleck Effect top coats to show you! 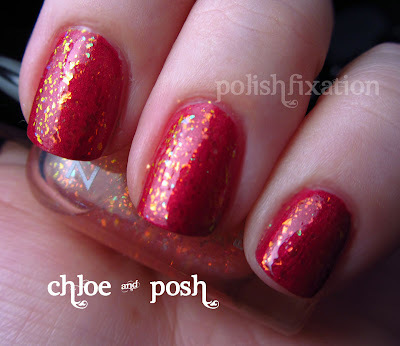 I was very excited when I heard that Zoya was coming out with some flakies, and I think they are great! With my pics, I decided to layer them over colors I thought they might look good with, instead of doing them on their own, as I never intend to wear them alone, as they do not look good that way. If you want to see them alone, there are lots of blogs who have swatched them that way, so I am sure you can find that elsewhere. 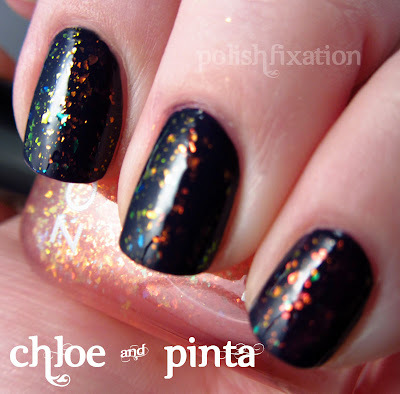 I also am not swatching them over black because everyone has done that already as well, lastly, I chose not to swatch them over the True collection, because again...many have done it and I wanted to give you some different layering ideas, using other Zoya polishes from my collection! First a quick run down of each Fleck, and then the promised pictures! 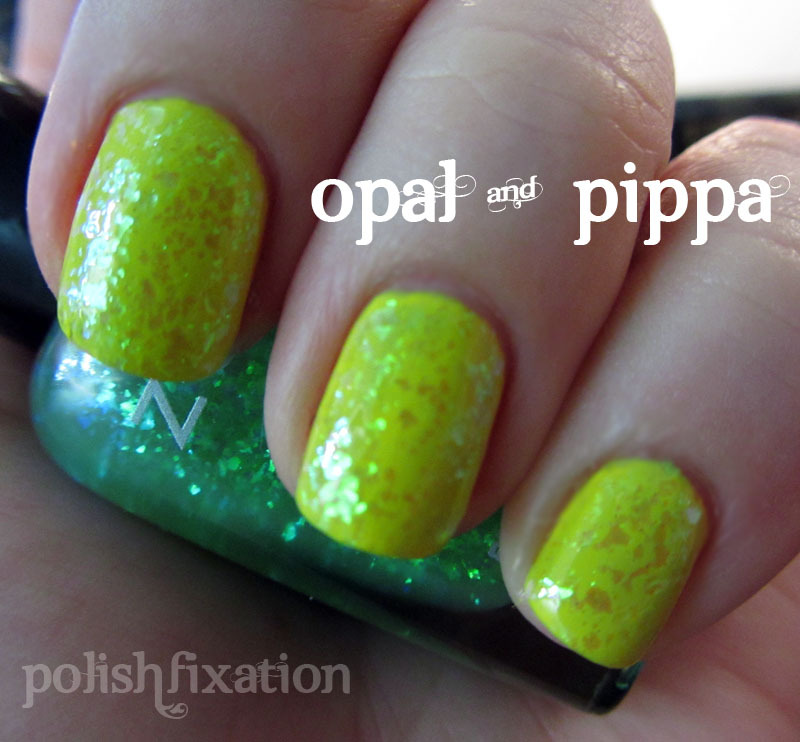 Chloe: " a sheer coral pink base with two types of duochrome Mylar flakes: red-orange to gold and gold-green to blue"
Opal: "a sheer green base with reflective Mylar flakes that shift from bright green to blue". 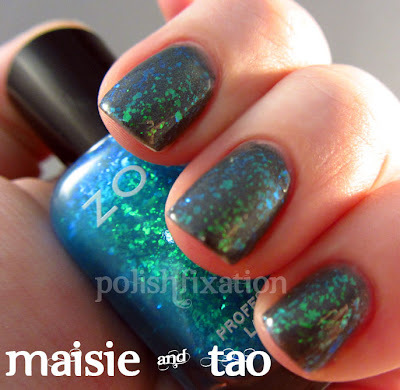 Maisie: "a sheer turquoise blue base with reflective Mylar flakes that shift from green to blue"
Opal and Maisie are definitely very similar but if you pair them with certain colors you can definitely tell them apart. I do wish they were a bit more different though. 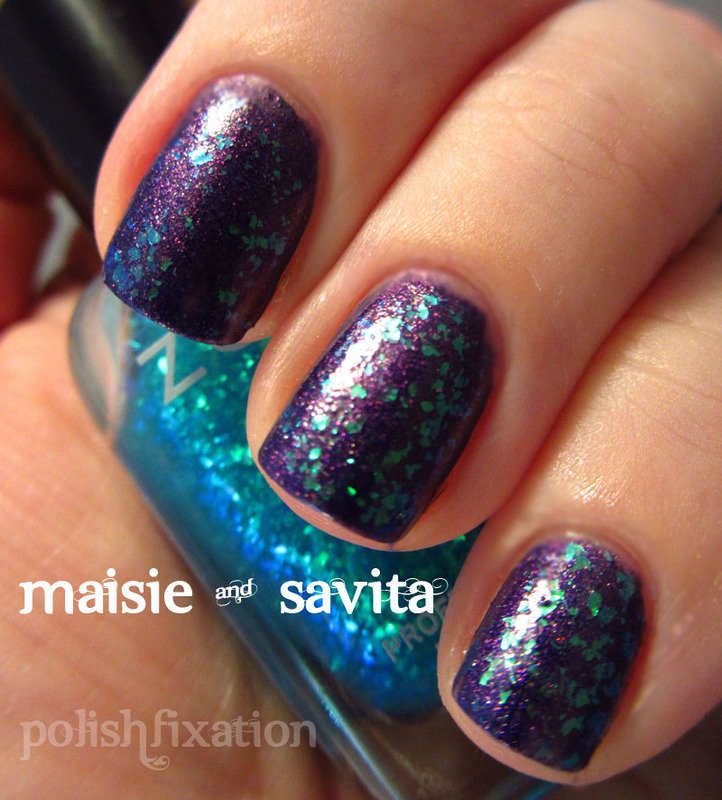 This last combo of Maisie & Savita is definitely my favorite of all the ones I decided to try out! The possibilities really are endless, It was hard just picking 2 base colors to try with each fleck, but I didn't want to go overboard all at once. I will definitely be trying out more combos in the future to see what else I can come up with! What do you think of the Zoya Fleck effects? Oh wowzers!! 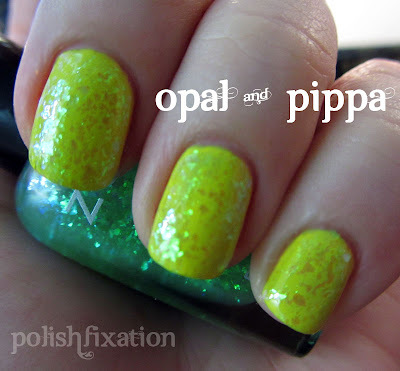 I LOVE Opal over Pippa!! Thanks for posting! Great pairings! ohhh... I'm loving Maisie and Savita!! Maisie and Savita is my fav as well. Thanks for showing them over other colors. The last two combo's are my favorite! Wow this are so pretty! These are pretty but not exciting enough for me to buy them. I like my set of Finger Paints flakies! Although I am loving your veruscka combo!